Professor Layton and the Azran Legacies, the sixth installment in Nintendo’s popular puzzle series, will release in North America sometime in 2014, the company announced during today’s Nintendo Direct presentation. Azran Legacies is the third and final game in the series’ prequel trilogy, which began with Professor Layton and the Last Specter on the DS in 2011.The game will also reportedly be the last in the series to feature the titular Professor Hershel Layton as a protagonist, effectively ending a franchise that first debuted on the DS with Professor Layton and the Curious Village in 2008. 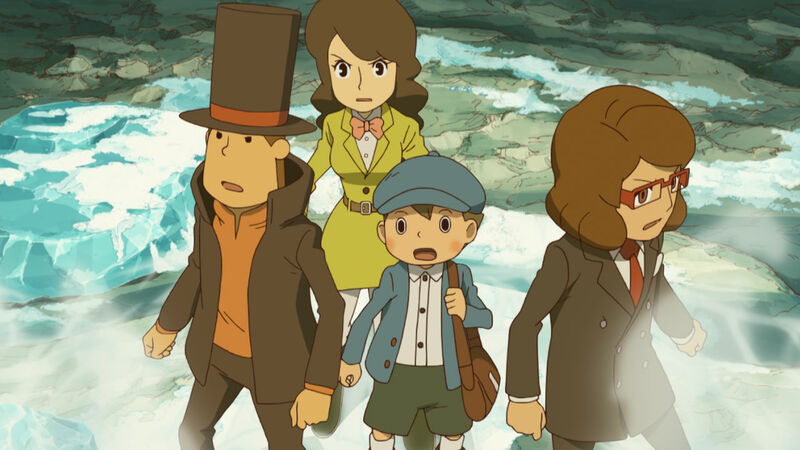 Azran Legacies sees Layton and his assistant Emmy travel to a town to investigate reports of a “living mummy.” Upon discovering and freeing a girl trapped in an icy prison, the team embarks on a trek across the globe, aiming to solve the mysteries of the ancient Azran civilization. Gameplay will be generally similar to previous games in the series and the previous installment, Professor Layton and the Miracle Mask, in particular – players will explore areas and solve various puzzles using the 3DS’ touch screen. More than 500 puzzles are expected to appear in Azran Legacies. Will you pick up Professor Layton and the Azran Legacies or has the franchise run its course for you? Let us know in the comments.